As an event entertainment company, we have attended a range of personal and corporate events. That’s why it comes as no surprise to us that team-building events are on the rise. As more organizations are now focusing on building company culture, events like these have seen their popularity surge, and with good reason. Building company culture is especially important in this day and age as the demand for qualified talent intensifies. A fun, empowering, and tight-knit culture works wonders for employee retention and boosts company morale which improves productivity. A happy employee is a great employee! Building company culture is an art, and takes some time to attain. However, great company culture can always be achieved with regular team-building events! Haven’t planned one before? That’s okay! 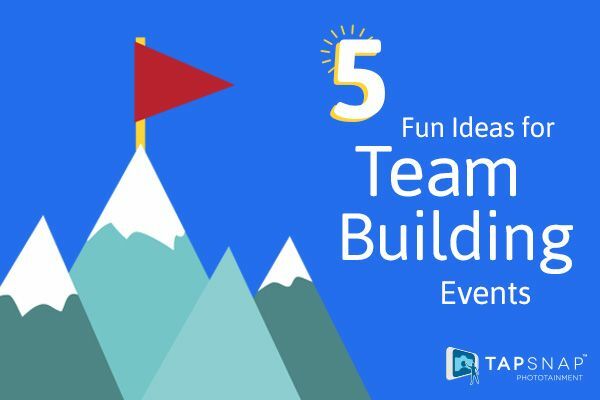 We have some great team-building event ideas to help you out. 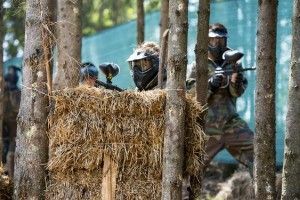 While paintball might not be for everyone on a regular basis, this game is truly a lot of fun. Paintball requires teamwork, strategy, and problem-solving skills. It’ll bring your team closer together, whether it’s by ganging up on your boss, or comparing the size of your welts! Nothing brings a team closer than when team work is a large component in problem solving. It’s even better when problem solving is fun! Escape room games have been growing in popularity as they hinge on your problem solving skills and teamwork. Group packages are generally more cost-effective, and there’s little to no clean-up for you to do. All that’s required is a little coordination with car-pooling! Whether it’s camping, or an escape to a resort in the tropics, a company retreat is a great way to bond with coworkers. It’s a more relaxed environment, and it’s time away from the office—who wouldn’t enjoy that? While a retreat isn’t an event itself, it does open doors to host smaller events while you’re away. Try a karaoke or trivia night, or even a scavenger hunt. You cannot go wrong with a barbeque and potluck. Good food has always been a topic of discussion, and a great icebreaker. Throw in some games for some added fun and friendly competition to boost interaction—bonus points if they require teamwork! 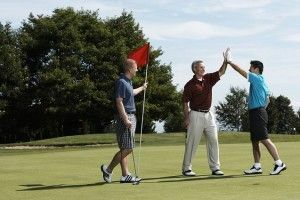 Hosting a company golf tournament is another great way to bond with teammates. Couple it with fundraising for a great cause, and it becomes an event that team members will surely attend. Fundraising as a team is a great bonding experience, and an easy hack for building company culture. Besides, who wouldn’t want to play some golf on a beautiful, sunny day? Don’t forget that photos are an important component of team-building events! We’d recommend looking into a photographer for team-building events to capture the cheer and candid moments. Our Social Photographer is a great way to capture the excitement! Best of all, you can still instantly share your photos on social media, and incorporate your company’s event hashtag and logo in the photos for maximum exposure. Team-building events can be big or small, but they are a great way to build stronger ties. If you’re planning an event and tight on cash, read these simple tips to stick to your event budget. These team-building event ideas are merely a way to get you started. Keep exploring new options which will best be suited for your company. The goal is to strengthen your team, so focus on events which incorporate teamwork. Remember, it’s all about winning together!